Linking up with Housewifespice for the March edition of What We’re Reading Wednesday! I’ve read some great books since last month’s post. The best one was absolutely In This House of Brede by Rumer Godden, which seems to be having a moment around the Catholic blogosphere. I loved the style of the prose, the reported speech and the “If Sister X had heard this, she would have said”‘s. 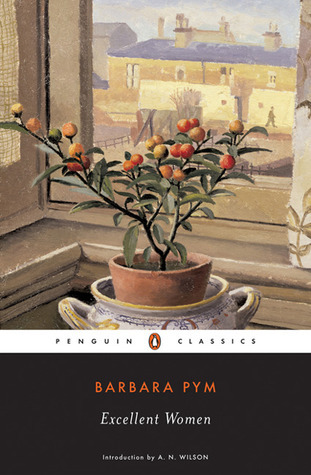 These little asides added a unique insight into the nuns’ interior lives without requiring a totally omniscient narrator. By exploring the nuns’ interior lives in this way, Godden also made the point that their enclosure does not make for a stagnant or automatically holy life; rather, their concerns, both prosaic and sacred, continue to school them in love. I liked that she didn’t make this point with ham-handed moralism, but let the story speak for itself. Penny looked up and saw that Mrs Talbot was laughing at her, gently laughing. ‘Do you think it will be the end of me?’ Penny emphatically did but, ‘I hope it will be the beginning,’ said Mrs Talbot. Her quiet transformation showed the many ways God teaches love. She was widowed already and then had lost a young son in a horrific accident (sobbing, so much sobbing), so she had had that experience of love but had reacted to losing her family by closing herself to everyone around her. After her conversion and even after entering the convent, she just wanted to keep to herself and work on her own holiness, but God uses the skills she developed for her own prosperity on the outside to serve the order over and over again, showing the unexpected way her vocation was both the beginning and end of her. Abbess Catherine ended up a favorite as well. She exemplified what a mother is and what a mother should be. Her worry about the sisters, her occasional anger, but most of all care for the flock showed the joys and challenges of motherhood in the context of her vocation. There’s more to be said about motherhood and Brede, but I’ll leave that for another post. Anyway, I think everyone should read it. It’s not sentimental or schlocky and really even-handed on the hot button political issues that come with a Catholic novel set during Vatican II. In Confession, God mends to wound of my sin with his grace, and the resulting scar can be beautiful. The shining brand that remains is a gift; a reminder that I depend on God’s mercy, and that his mercy is free for the asking. This kind of healing means that I can’t think of my original sin in isolation from the forgiveness that was offered to me. The vein of Christ’s love twines through my regret and penitence, keeping them from sliding into despair. 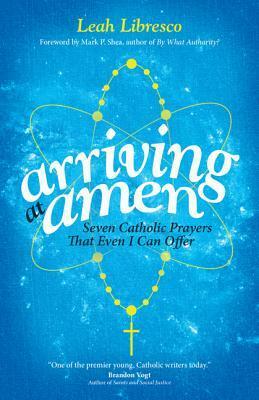 If you liked Jennifer Fulweiler’s Something Other Than God, you’ll like Leah’s book too. You can pre-order it now on Amazon and I think you should! 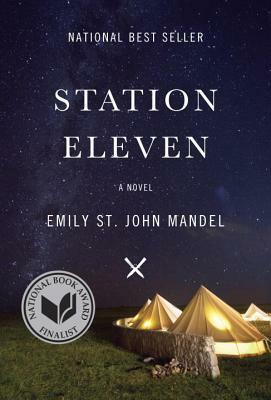 Station Eleven by Emily St. John Mandel // Like Hansel, this is so hot right now and I think for good reason. I’m a sucker both for post-apocalyptic tales (my husband and I both get giddy about The Walking Dead) and for plots with characters with intersecting lives, which is why I love David Mitchell. My major complaint about the book is that I can’t decide if the ending was a cop-out or a reflection of the instability of an apocalyptic wasteland, but no spoilers here. Even so, it didn’t make me regret reading the rest of it. I’m currently reading The Remains of the Day by Kazuo Ishiguro, which started super slow, but I suppose that makes sense for the ruminations of an aging butler. What have you been reading? Any recommendations? I love new Goodreads friends! Yes! 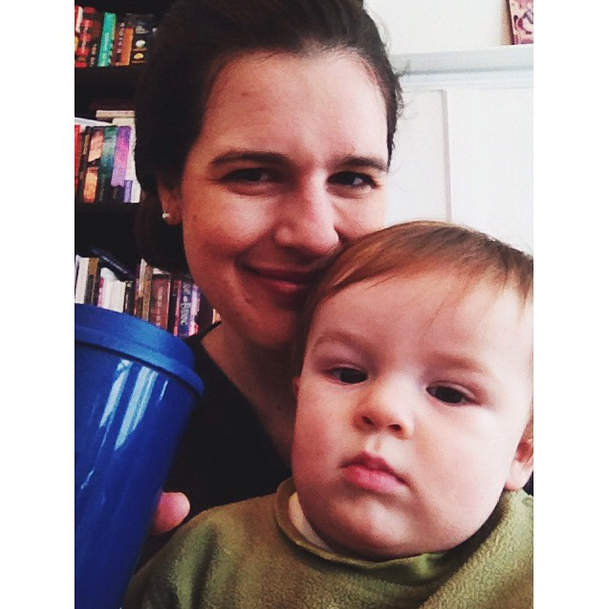 Motherhood in Brede is totally something I’ve wanted to write about, too! And that Jane Eyre quote sold me. Yes, please read Excellent Women! I feel like there was more to “get” and I would love to someone to talk to. We should write Motherhood and Brede together. 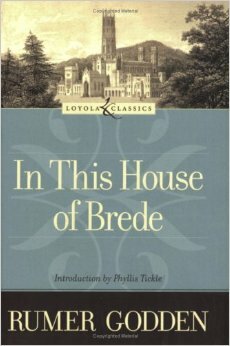 I keep hearing about House of Brede–time to read it! Please do! You won’t be disappointed!